P.L.A.Y. 's Horizon Chill Pads put the "chill" in chill time. 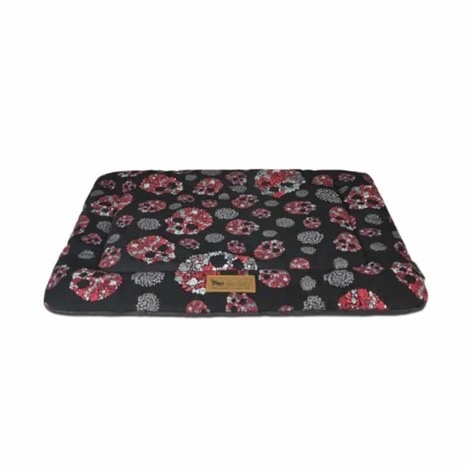 Their versatile, lightweight design paired with the same soft and durable woven fabric from the Horizon Bedding Collection makes them the pawfect mat to go wherever you and your pet go. Whether off to a visit to grandma's house or spending a relaxing day at home, your pet will always have a soft, comfy place to rest. Inspired by the peaceful colours of Mother Nature, this colourful dog crate pad will have your house feeling like home in no time! Find the perfect Horizon Chill Pad for your dog's crate or wherever else they lay their head! Extra small: 20" X 15"
Recommended for small dogs weighing up to 10 lbs. Extra Large: 42" X 28"